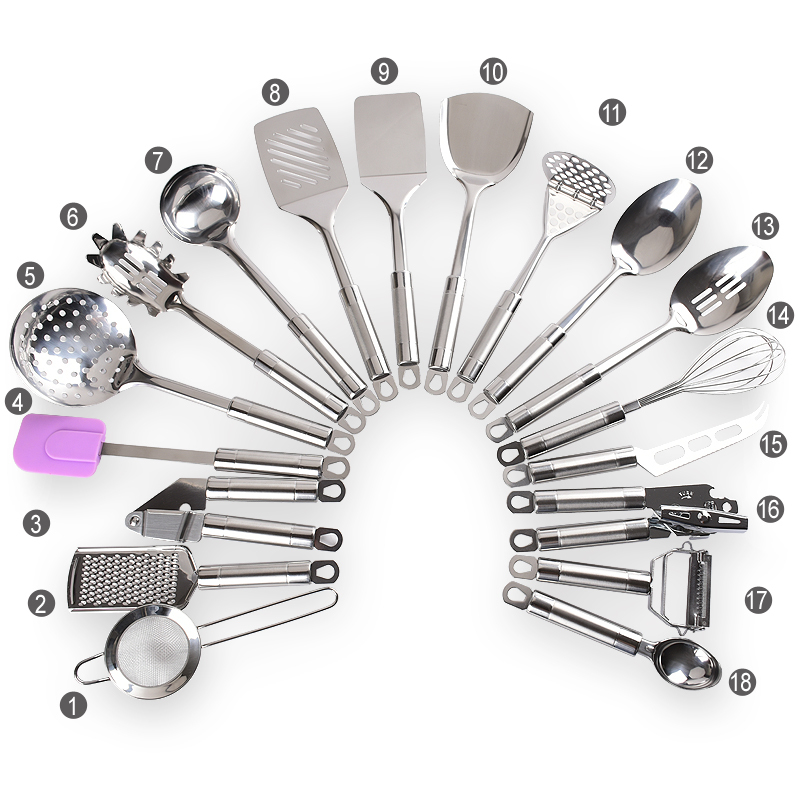 Product categories of Stainless steel utensils set, we are specialized manufacturers from China, Stainless Steel Utensils, Kitchen Basic Utensils suppliers/factory, wholesale high-quality products of Stainless Steel Utensils Set R & D and manufacturing, we have the perfect after-sales service and technical support. Look forward to your cooperation! All of these kitchen utensil sets are made of high quality stainless steel,which can meet European and USA Food Standard. They have two appearance type, one the mirror light polishing, they would have a light and beautiful surface. The other one is sanding light surface, it looks high-level. It is resistance to dirty and easy to clean. We have no any stock products, MOQ is from 1000 sets to 3000 sets.